The International Milling Directory bolstered its listed members today with an application by Vortex® Loading Solutions. Vortex Valves, based in North America, Latin America, Europe (Germany) and the UK. As a well-established company in the International Milling Directory – even an advertiser – we welcome Vortex® Loading Solutions to join the other listed members today. Vortex® is considered the world leader in equipment for handling dry bulk solids. Sitting on a 15-acre campus in Salina, KS, our state-of-the-art manufacturing facility and office complex spans over 150,000 square feet. Our current footprint allows us to introduce lean manufacturing methods supported by advanced fabrication equipment and laser cutting technology. Their entry on the International Milling Directory Online has just been approved – check it out HERE! Don’t forget – register or update your listing in time for July’s publication of the new edition of the International Milling Directory 2013/14 – click here! 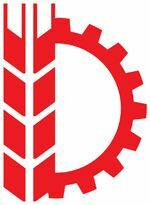 Introducing: Degpa Foreign Trading Co.
Today th e International Milling Directory welcomes Degpa Foreign Trading Co.
Degpa Co. imports and exports all kind of flour, salt, animal feed, boiled and pounded wheat, agricultural machines and the spare parts of these machines. In addition, Degpa distributes and transports building materials, electric materials and different kind of products inside and outside the country. Turnkey design, manufacture and installation of flour, semolina mills;Compact flour mills, Building floor type flour mills, Semolina mills, Wheat & Maize flour mills, Silos for grain storage, Grain cleaning equipment: Elevators, Separator, Destoner, Horizontal scourer, Milling equipment, Rollermill, Plansifter / Sifters-Purifier, Bran finishers, Screw conveyors, etc, Airlocks European quality at affordable prices! Don’t forget – register or update your listing in time for the July publication of the new edition of the International Milling Directory 2013/14 – click here! Today the International Milling Directory welcomes Zhengzhou Amisy Feed Pellet Machinery Co., Ltd. The company are devoted to supplying top quality feed pelleting equipment up to Certified European (CE) specifications. They are experts in the design and manufacturing of feed pelleting solutions for the scale feed pellets industry. Zhengzhou Amisy Machinery is established in 2000 and has since been devoted to supplying top quality feed pelleting equipment up to Certified European (CE) specifications. We are expert in the design and manufacturing feed pelleting solutions for any scale feed pellets industry. We also design and manufacture ancillary equipment used in the pelleting process. Owning a professional team with specialized theoretical and practical background, we can offer full scale service to our customers by developing projects from blueprint , customized solution, machinery production to installation and commission of complete feed pellet plants . The International Milling Directory was successfully distributed to all key players at IDMA. 10 boxes were shipped over in advance of our participation at this key Turkish event. We also were able to distribute directly to flour millers after the event as we visited Çorum, Aksaray, Konya and Ankara. We passed many silo plants – new and old installations in a number of places. Many were manufactured by advertising partners of the International Milling Directory and were found in both towns and the rural country. One such photo here shows GSI silos at BOLU UN VE YEM SANAYİİ (translation: Bolu flour and feed industry). This is a key example of the way that storage is valued in Turkey, which is well known now as an important local and international milling industry, which, importantly is growing well. Please contact the team at the International Milling Directory for more information about getting your silo and storage products into the new International Milling Directory today. Email Tom at tomb@perendale.co.uk or call +44 1242 267700. This edition will be the best yet for equipment guides! The International Milling Directory (IMD) has set up camp in Istanbul, Turkey for the 5th International Flour, Semolina, Rice, Corn, Bulghur, Feed Milling Machinery & Pulse, Pasta, Biscuit Technologies Exhibition (or IDMA 2013 for short). Representatives from all over the milling industry have gathered with thousands of agriculture professionals to make this one of the highlights of 2013’s milling calendar. 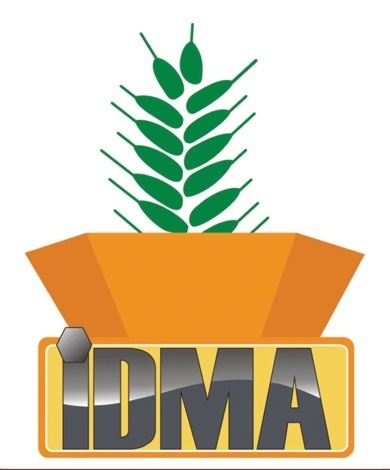 The IMD, together with sister publication Grain & Feed Milling Technology magazine, will be presenting its wares to industry representatives from 120 countries for the full four days of the show. If you’re at IDMA, or soon will be, Directory co-ordinator Tom Blacker will be ready to provide information and answer your questions. Why not visit him at the Perendale booth (hall 11, stand A-19)? The International Milling Directory (IMD) has had a rather a lot of attention recently. We made waves in Louisville with a successful event. Regular and new members were drawn towards our hundreds of copies of the IMD – the 6 boxes we shipped over were snapped up within 2 days, leaving latecomers on the final day with not a lot of availability! VIV Asia took place in Bangkok in early March. A great honour of the opening reception was a mention for International Milling Directories’ owner and publisher Perendale and Roger Gilbert was a boon for us all back in the office. When we found out the feedback and invitation to chair more CropTech-FeedTech conferences at more VIV events around the world was relayed back, we were all proud of this opportunity in thought leadership. The next event in this series Roger is attending will be in the Netherlands. 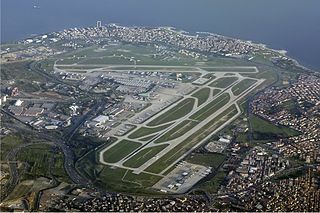 The next event draws closer all the time and our build up, tools and ambitions for IDMA in Turkey are very high. This is a bi-annual event in Istanbul will take place over four days and we decided to ship 10 boxes of the IMD to this exciting event. Our large presence will be part of marketing the IMD to returning and new Turkish members and they will be able to see and ask for information about participation in the new edition. On that topic, we are expecting to redesign and improve the functionality of the IMD this year which makes it the leading publication in handbooks for the international milling community. New companies in the IMD this month: Kay International (India), Aciklar Un Sanayi (Turkey), Jiangsu Myande Food Machinery Co. Ltd. (China) and Dan Corn (Denmark). I hope that renewal or registration of your company is something you are thinking about. It can be done very quickly and simply at www.internationalmilling.com. Today the International Milling Directory welcomes Dan-Corn A/S. This company are a specialist in the area of milling and mainly operate in Scandanavia however do have good familiarity with the UK. Perendale are looking forward to meeting Jens and others from the company at Cereals 2013 in Lancashire in a matter of months! Dan-Corn’s entry contains a great synopsis now online here at their new company page: https://www.internationalmilling.com/company_4514.html. We look forward to developing their involvement in the International Milling Directory for the 22nd edition and reckon our users will find them to be totally relevant to milling, storage, drying and handling in feed industries. DAN-CORN is a specialist within storage, drying and handling of your crops. Our many happy customers have simply made us the most important player in the market. The International Milling Directory is once again participating at IDMA in Istanbul, Turkey. Tom Blacker and Darren Parris will be exhibiting at stand A-19 in Hall 11 freely distributing the 21st editions of the International Milling Directory, the latest paper copy issues of Grain & Feed Milling Technology magazine. Do come and find us at the show, along with hundreds of other companies. This is our major show for grain in Turkey. We are already getting in touch with other attending companies for meetings. Animal and aqua feed company Greenfeed of Vietnam was made Asian Feedmiller of the Year at VIV Asia in Bangkok last week. The competition, in its fourth year, is run by the food chemistry multinational Addcon. As winners Greenfield will receive sponsorship for a trip to VICTAM Ukraine, in Kiev later this year. 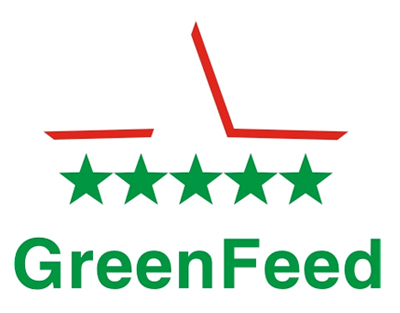 VICTAM is one of the leading events for the global livestock industry, so this award should allow Greenfeed to propel themselves to bigger and better things. Runner-up Feedmiller of the Year was the Dabaco Group, also from Vietnam. Anmol Feeds from Bihar, India won the new ‘Emerging Miller’ gong. The International Milling Directory extends its congratulations to all three companies, and hopes to see them in the pages of the 22nd edition, published this summer. The International Milling Directory welcomed its newest member to end a busy week. Jiangsu Myande Food Machinery Co.,Ltd is a small offshoot of the Muyang group of Jiangsu, China. We have an excellent relationship and partnership with Muyang already that means their coverage has been and will be again one of the top advertisers in the International Milling Directory‘s 22nd edition this year in 2013. Who knows where 2013 will lead for Myande? 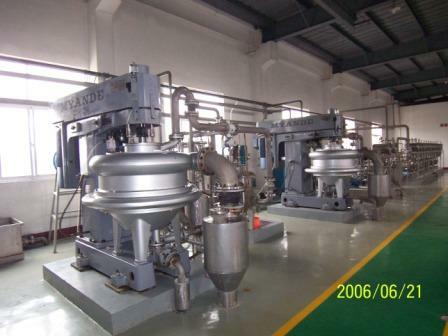 Jiangsu Myande Food Machinery Company Ltd (Myande) is a company that specializes in manufacturing edible oil and starch processing machinery and undertakes engineering projects in these two areas, with “Myande” as its brand name.